Weather 5 - 6°C going down to 1°C at night. Windy & rainy, the type of weather that can really wear down your reserves. 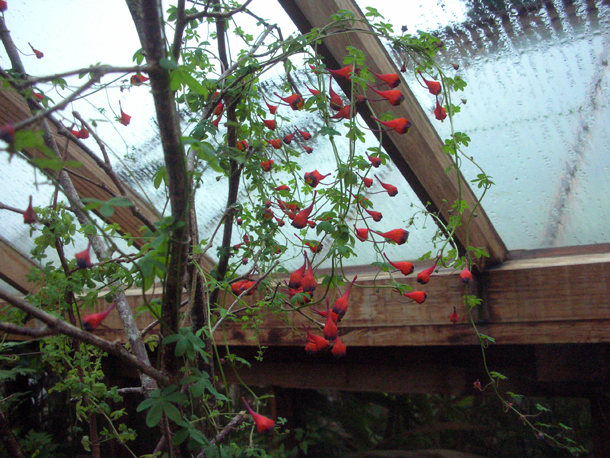 A Tropaeolum in flower - one of the highlights in the greenhouses at the moment. It was my first time on my own doing nursery duty. One customer came on Saturday and bought a couple of Clematis, phloxes and Ammi majus seeds. Part of nursery duty is to feed Titch the cat, open and close the greenhouses, watering and any odd bits & pieces of potting up. It was a quiet and cold one, so I kept the wood burner stoked for most of the time. We measure the precipitation of the rain and contribute the information to the local weather station. Our rain guage consists of a special copper container that is set into the ground and has a funnel above the surface capturing the water to a plastic bottle inside. 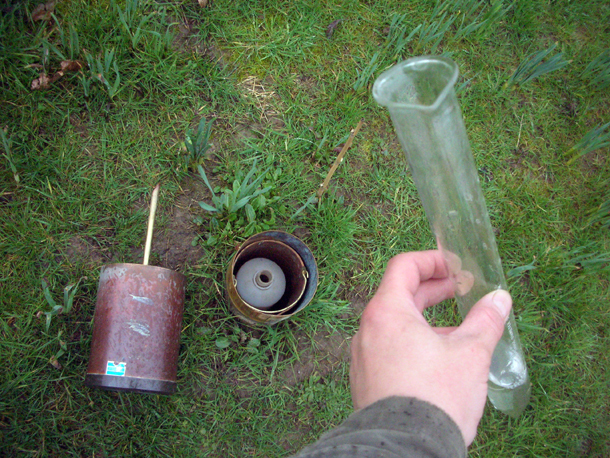 When it comes to measuring the amount of rain that has fallen, I pour what is inside the plastic bottle into a glass test tube with measurements set nearby. Then I record what it reads. 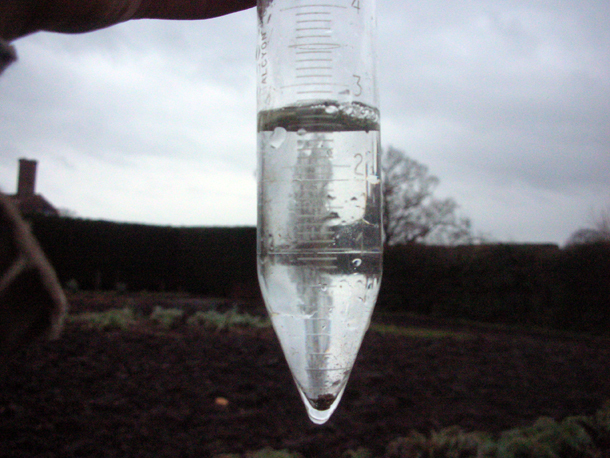 Rain precipitation read on Sunday came to 2.7mm.